The Nutridose is the safest water medication system available. Water medication is the most cost effective method of delivering Urea and Phosphorus supplements to cattle and sheep and results in considerable savings in labour. A major breakthrough in water medication safety has now been achieved with the release of the Nutridose Concentration Monitor. This unit can be fitted to any existing proportional dosing unit, including the Norprimand Dosatronand gives real time control of the concentration of urea being injected into the water as well as providing shutdown and isolation to prevent toxic levels being reached. The benefits of Water Medication include a widely safe and effective way of supplementing livestock. Not only is this water medication system safe, but also the lowest cost form of supplementaion, costing 1/10th of the cost of alternative delivery methods. It is suitable for both sheep and cattle and ensures that all animals are recieving the right dosage. Microprocessor technology controls urea dosage, an much safer advantage over solenoid based valve systems. The new Nutridose Monitor is compatible with all forms of telemetry. 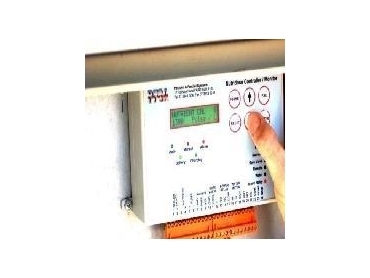 More advanced forms provide real-time information on tank levels, water flow and rates. The Nutridoe manual is now avaialble, and can be viewed at Pastoral and Feedlot Sytems Australasia.